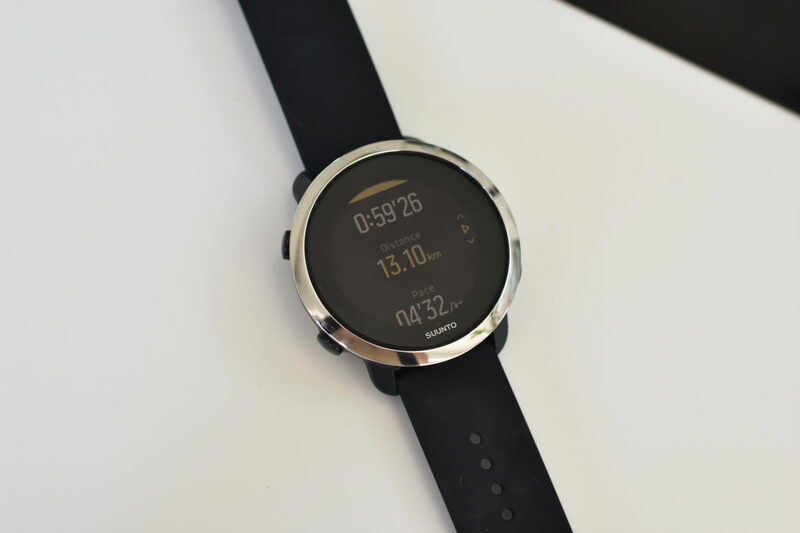 Note: For this review, Suunto and their PR Agency kindly sent me a Suunto 3 Fitness. This has allowed me to fully test all the features and put the Suunto 3 Fitness through its paces so I can give the best informed review possible. As running watches go, the Suunto 3 Fitness would not be classed as a ‘running watch.’ It is instead in a wider category of activity tracker/ all-round fitness watch. This means that it is not designed specifically for running – nor any sport in particular – but rather for tracking your daily activities and health. 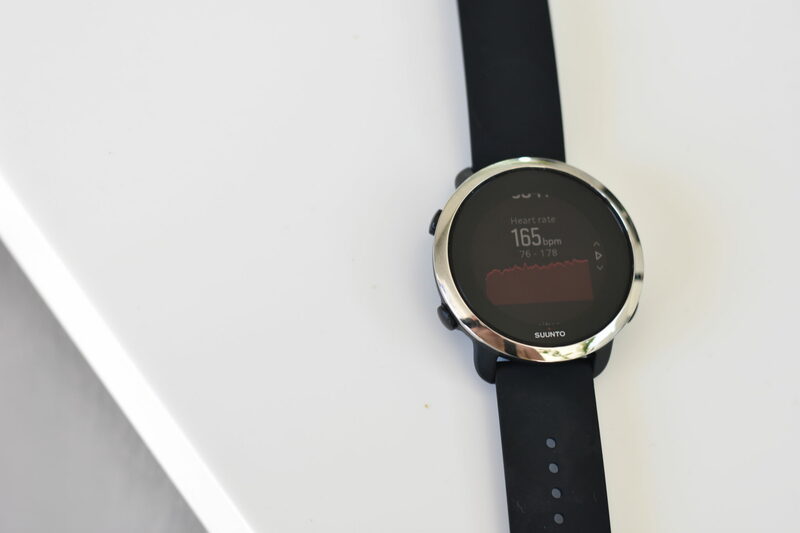 In this review, I will no go into the depths of GPS accuracy or heart rate accuracy as I have also done so in my full Suunto 3 Fitness review. For a further look into the Suunto 3 Fitness, you can read my in-depth guide and full review here. As I have already made clear, the Suunto 3 Fitness is not designed to be a running watch, mainly due to the omission of built-in GPS. With that being said however, it is by no means useless as a running watch and is, in fact, a capable and useable watch for running. 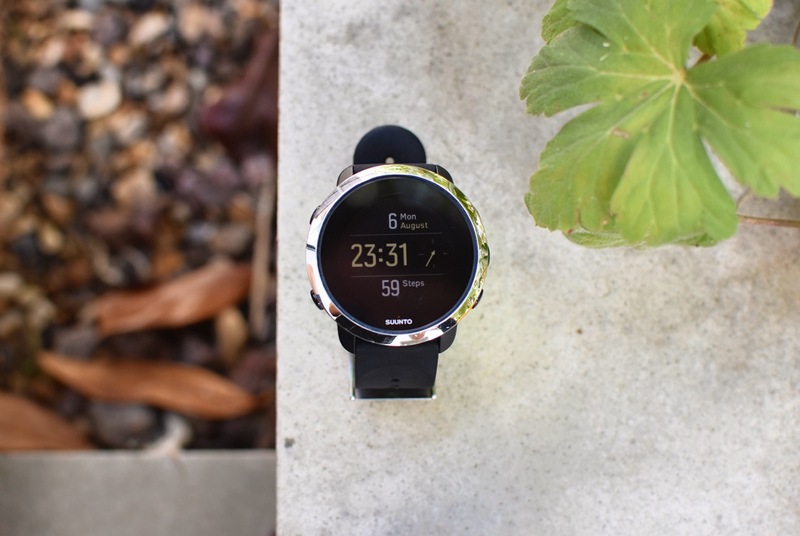 You can run two ways with the Suunto 3 Fitness, either without connected GPS via your smartphone or without. When running without your phone, the 3 Fitness will use the inbuilt accelerometer to estimate your pace and distance. Having tried to use this a few times, I can easily say that this will be a waste of time if you are looking for an accurate account of your activity. Despite this, the accuracy of the recorded run will get better over time as the watch is calibrated. 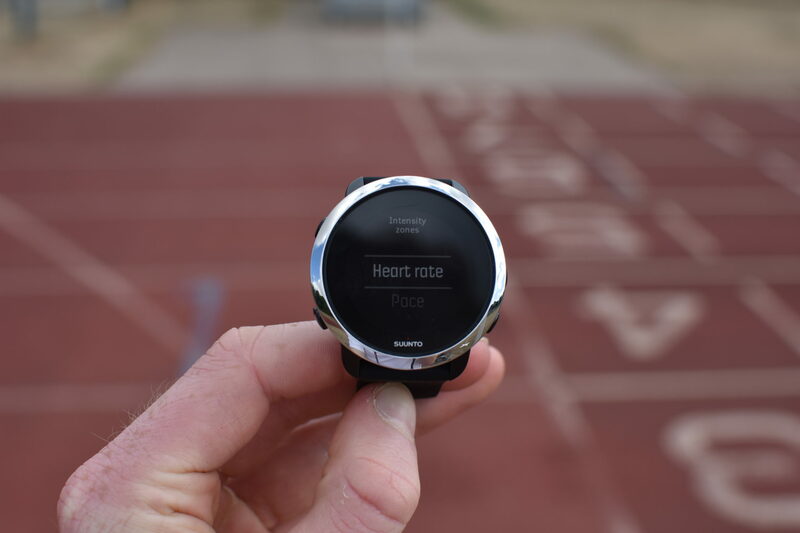 If you run a set, known distance, you can calibrate the recorded distance to the correct value after the run to help the watch learn your stride length to therefore calculate the distance. But if possible, stick to the connected GPS! 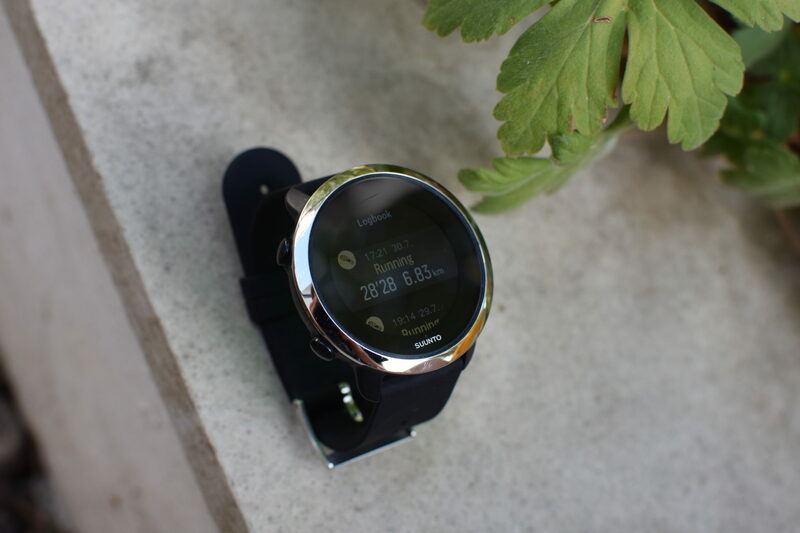 For a number of reasons including the cost and size of the final 3 Fitness, Suunto decided to omit built-in GPS. This is a bold move given almost all newcomers to the market now include this as a standardised feature. 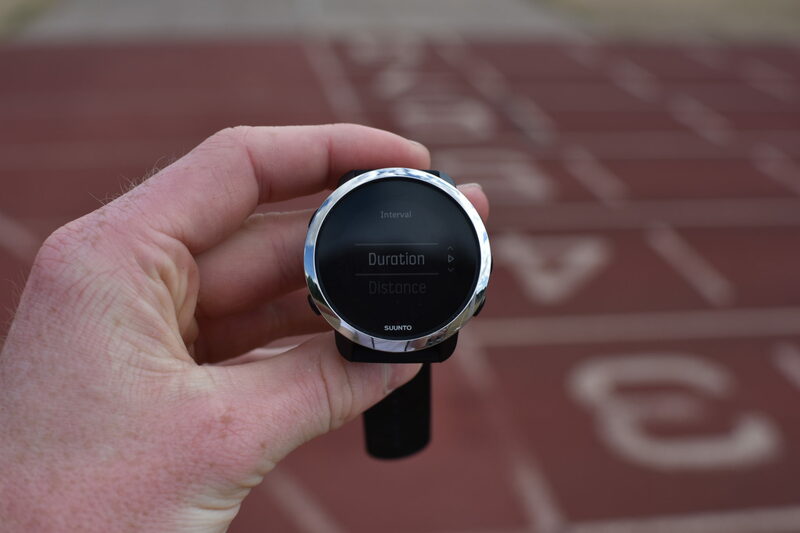 Training with GPS has not been fully withdrawn though as it is still possible to connect the Suunto 3 Fitness to your phone and use the GPS capabilities from your phone, therefore giving Connected GPS to the 3 Fitness via your phone. To start a workout on the 3 Fitness, press the upper-right button to scroll to the ‘Exercise’ page. 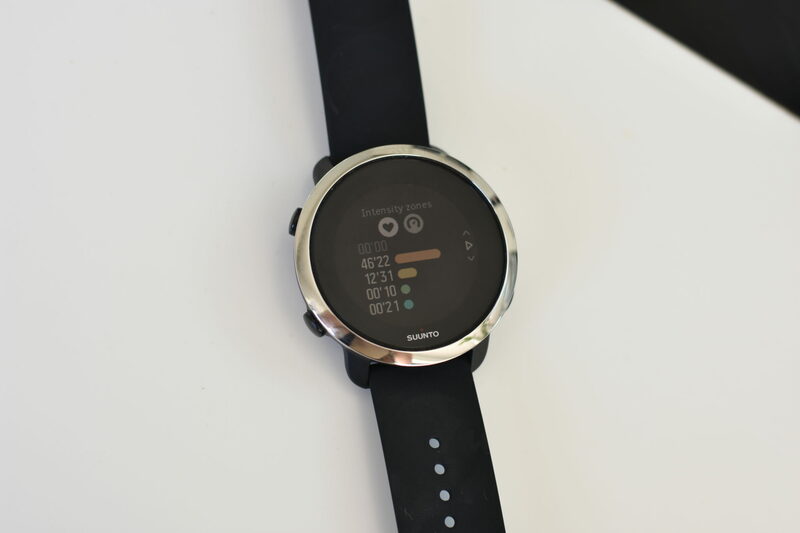 Select this and scroll and select ‘Running.’ This will automatically prompt the 3 Fitness to suggest that you connect the watch to the Suunto App by opening the app on your phone. Upon opening the app, the watch and the phone automatically pair, and the location arrow on the watch will stop flashing to notify the connection. Before starting a run, you can customise a few settings by pressing the lower-right button to view the options. Firstly, there are targets. In the targets sections, you can add an intensity target based off heart rate zone, or a general duration/ distance target. To start a run with the 3 Fitness, wait for the GPS and heart rate to be connected and press the centre-right button to start the run. For me, the watch usually takes about 5 seconds or so to start recording once the start button is pressed. Auto-lap is automatically turned on (I haven’t yet found a way to turn it off either). It is set to lap either every kilometre or mile depending on whether you have set the watch up with imperial or metric settings. You can also create your own lap by pressing the lower-right button. Whilst you are running, you have a number of data screens to view various metrics; the metrics are as follows: heart rate, distance, pace, heart rate graph. On each page, the cumulative time appears at the bottom of the screen. There is unfortunately no customisation possible here. You are stuck with each of the data fields displayed and cannot create a current lap time/ distance page for example. Once you have finished a run, press the upper-right button. Once the run is complete, you can rate how you felt during the run before being given an overview of the run’s stats. You can rate your activity afterwards. The statistics page is fully comprehensive, providing every statistic of your run. Interval training is an important part of training for runners of any level. Interval training is a workout in the form of a period of effort followed by a rest/ recovery period. This is then repeated a number of times and can be made more advanced by adding in multiple sets. 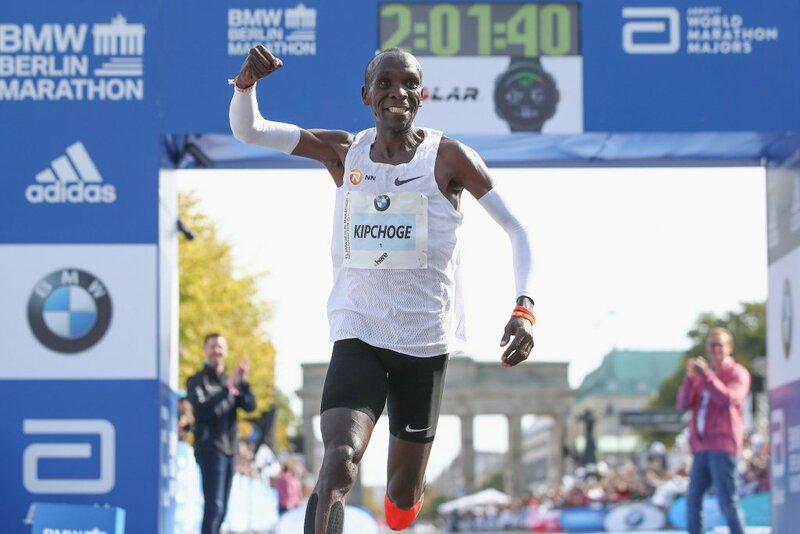 Runners who target shorter distances tend to complete interval sessions on a track. This is what I prefer to do myself and so put the Suunto 3 Fitness to the test. If using connected GPS then you will have to first get past the barrier of having to carry your phone for the intervals, which may sound not a problem, but during fast intervals can be quite uncomfortable. Nevertheless, here is how best to carry out interval training on the 3 Fitness. You can complete an interval session in two different ways on the 3 Fitness. Firstly you can create an interval session from the options page before you start the run. Here, you can set the interval for a specific duration/ distance as can the recovery; you then just have to choose the number of repetitions. 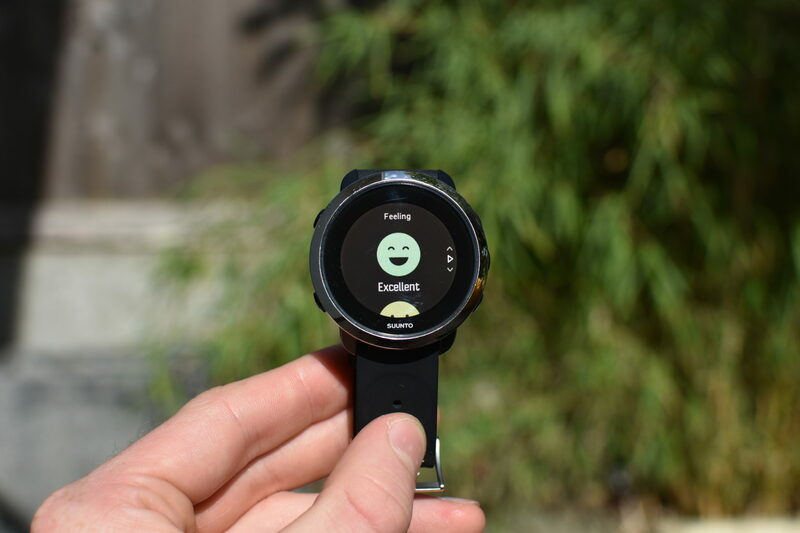 Albeit slightly simple without the ability of sending specific training sessions to the watch, the Suunto 3 Fitness does offer a sound interval option which can be well-utilised by those on set training plans. The watch will then alert you once you have complete a rep or have to get going again post recovery. Personally I would not tend to use this interval option as it didn’t meet the needs of a more complex session which included different length intervals, warm ups and cool downs. It would be nice if Suunto could look at implementing greater connectivity features with it’s online platforms to allow for sessions to be sent to the watch. 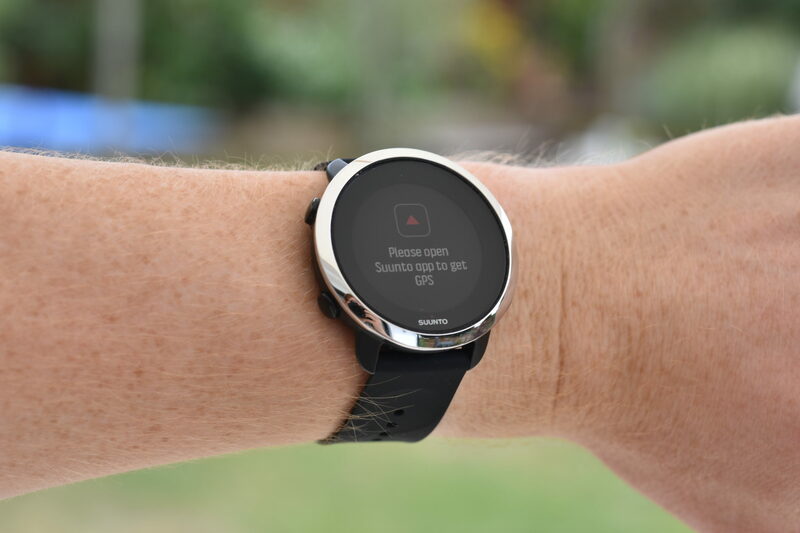 This could then also incorporate the ability to send planned routes to the watch also – something I talked about in my in-depth review here. Planning online sessions and sending to the Suunto 3 Fitness as can be done with most Garmin’s would be a great feature for runners. The other way to carry out interval training is manually. This just means that you create a new lap for each rep or rest period. This is also not an ideal way of interval training on the Suunto 3 Fitness due to the lack of data screen customisation. 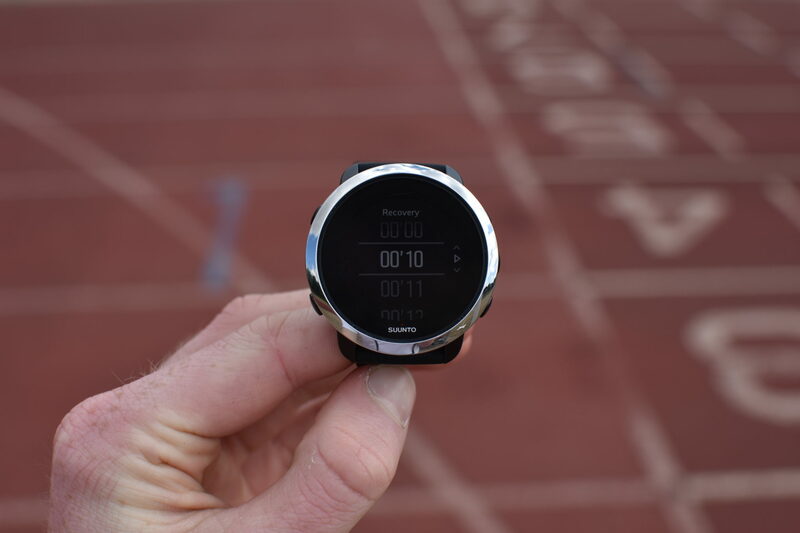 You are unable to view your current lap distance or time, making it very difficult to know your rest period or how much of an interval your have completed (unless on a track). The other issue that I have found is that, even if you were able to accurately record an interval session manually, you are unable to view the individual lap data after the run. With uploaded data to Strava for example, you are able to analyse eacb individual lap and understand interval efforts. Sadly, for the Suunto 3 Fitness this is not the case. I am being deliberatively harsh here. It must be remembered that the Suunto 3 Fitness is an all-rounder. The 3 Fitness is an activity tracker with built-in sport modes, not a specific high-end running watch. This means that these features that I am saying would be good for runners have most likely been omitted in an attempt to grasp a wider audience. However, this doesn’t mean lap configuration and greater data visibility once activities have been uploaded should be missed out. If you complete much interval training, then probably best to go for one of Suunto’s other high-end sports watches. Running indoors on a treadmill is not everyone’s cup of tea. But if you are forced inside due to the weather or use a treadmill often, then the Suunto 3 Fitness may just do the job very well. Out off the multiple watches that I have tested on a treadmill, recording data using the in-built accelerometer, the 3 Fitness has faired much better than most. 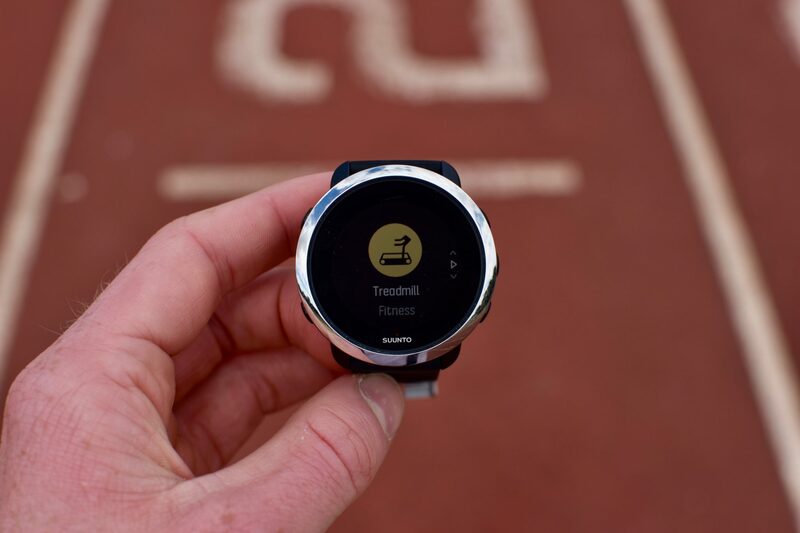 To run indoors with the 3 Fitness, scroll to the ‘Treadmill’ Sports Mode. From here on you just start the run and off you go, the watch will do the rest. Running on a treadmill is like any other outdoors run with the 3 Fitness. All the data which is displayed on the watch is the same as that viewed when outside. 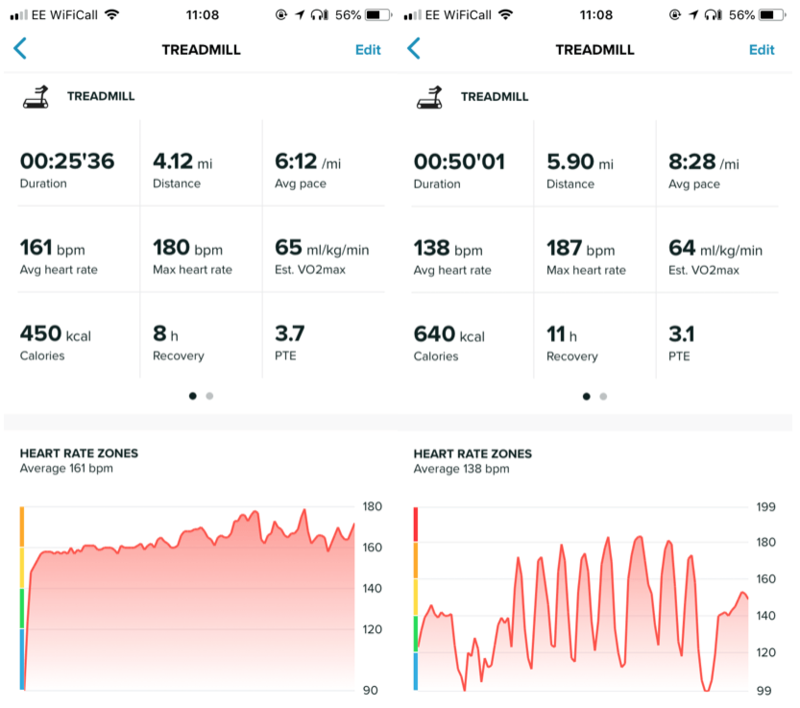 I tested the 3 Fitness across a number of different types of treadmill running, from fast intervals to long steady runs. Looking at the first activity summary: a steady 4 mile run. The run was in fact 4 miles, the watch recorded it as 4.12 miles, an overestimation of 3%. This is not too bad by accelerometer standards, nearly getting it spot on. from all of the runs which I recorded, the watch was more accurate the faster the pace was. 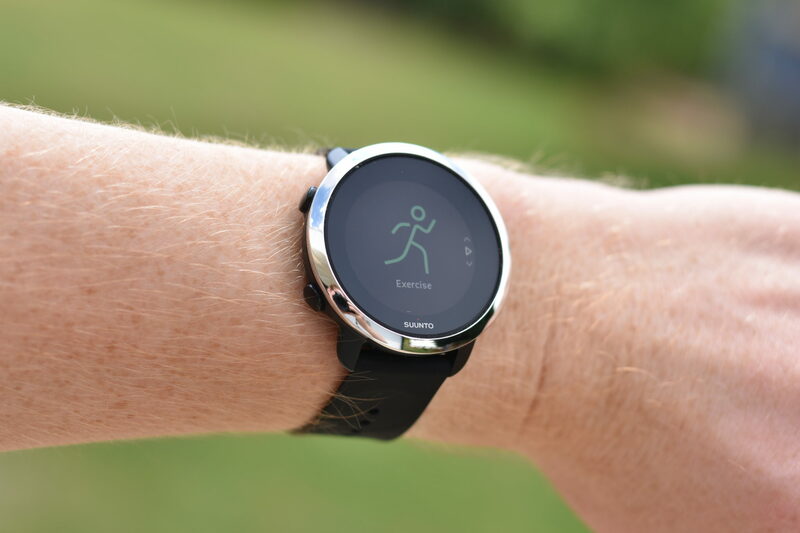 Slower jogging would be harder for the watch to pick up on as pace is estimated from wrist movements. Next, let’s look at a hard interval session of 400s, 600s, and 800s. This is difficult to analyse as the Suunto app does not display recorded laps from the 3 Fitness as I previously mentioned. What I can say however is that when you create a lap on the watch, it displays the lap time along with the pace of the effort. During the session, I was running at 3:00 min/km which the watch recorded almost perfectly for each of the intervals, something I was pleasantly surprised with. Reps at a faster pace usually go array on a watch recording using nothing bar an accelerometer so this was pretty impressive. 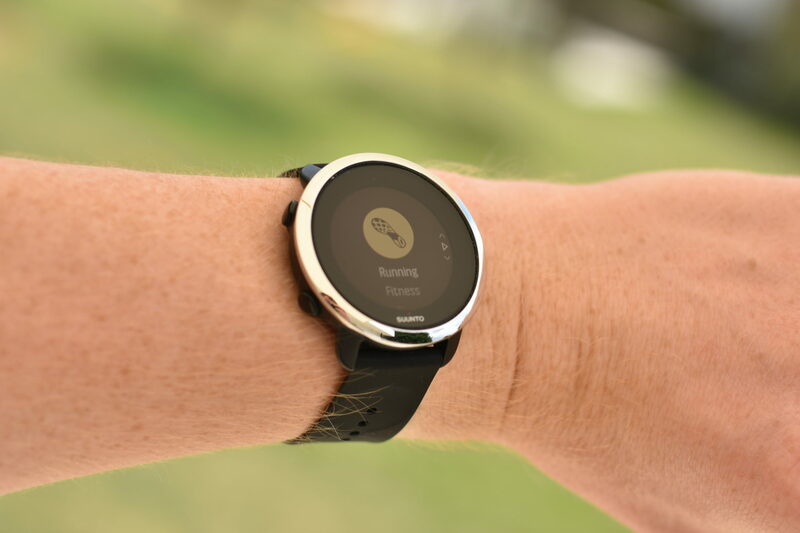 Running with the Suunto 3 Fitness is something a lot of people will do. 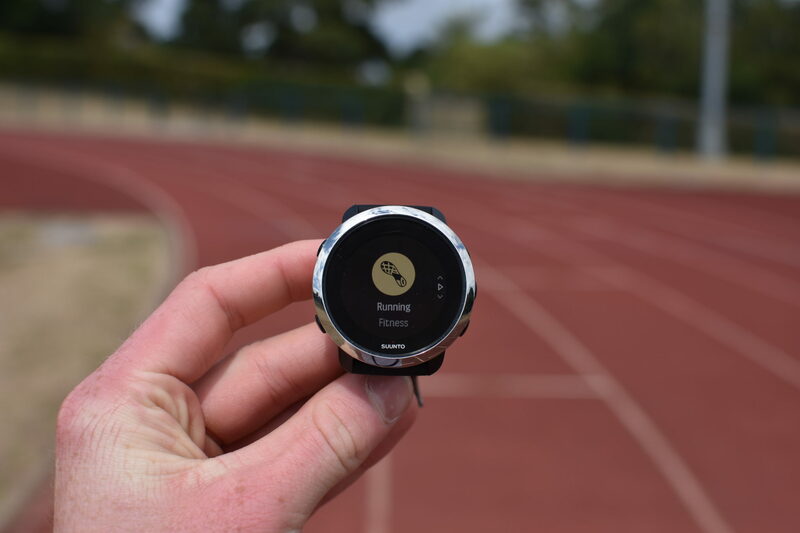 The watch has the ability to record your runs on either a treadmill or outside, both of which have their positives and negatives. Running outdoors on a steady run without any complicated intervals and with connected GPS will result in a decent level of accuracy and the ability to get understandable data back. So if you tend to do train with simple no-frill runs then the 3 Fitness will be more than competent at completing the job well. 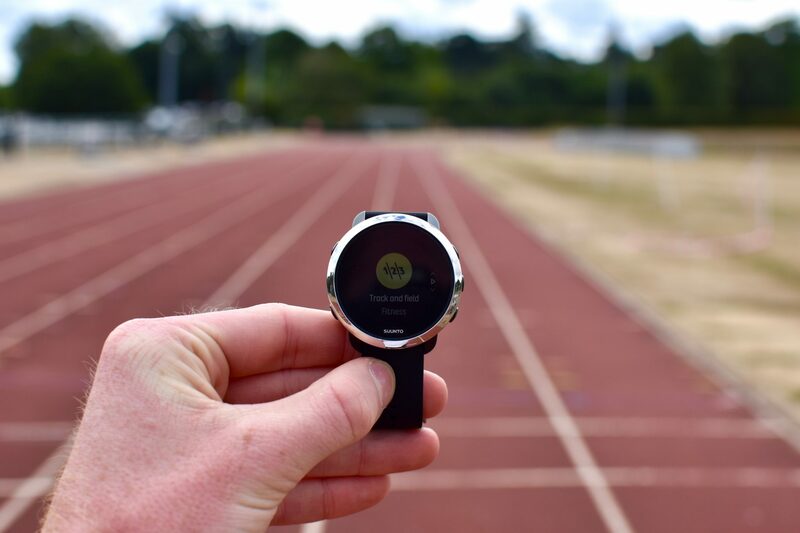 The issues arise when training with intervals, especially complicated track sessions, albeit Suunto haven’t targeted this market and therefore most users and unlikely to be using the watch for this training. Next, is treadmill running. From my experience and testing of the watch, this is the biggest winner on the running front. I was impressed by the level of accuracy when running indoors with the accelerometer preforming significantly better on the treadmill than it does for outdoors running when connected GPS is not used. 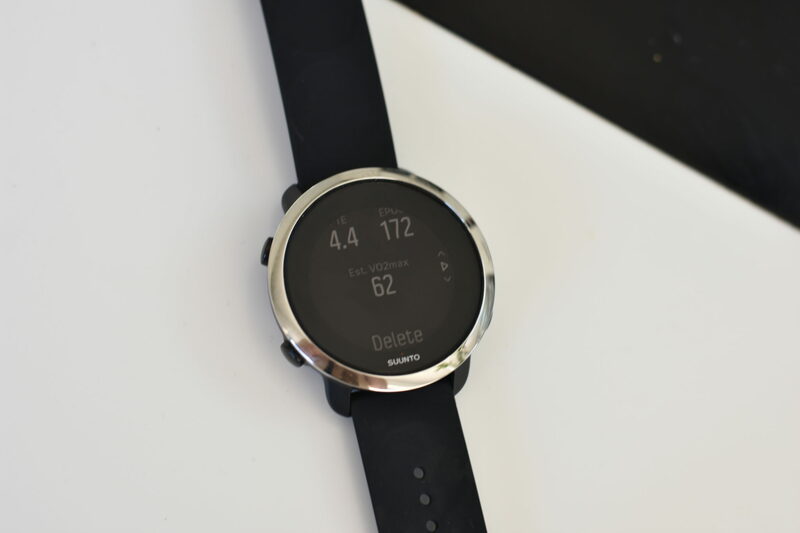 Therefore, if you are not a running fanatic and want to do some general running, the Suunto 3 Fitness is more than capable of providing some accurate and simple data. If you’re a high level athlete, this watch is not for you. But I suspect that Suunto’s other high-end watches are much more appealing to that running audience and I would recommend the Suunto Spartan Sport that you can find below.